April is Autism Awareness Month. Autism Spectrum Disorder affects one percent of the world's population, about 3.5 million, or one out of 59 American births according to the Center for Disease Control and Prevention and the Autism Society. To address this untapped resource and to foster a culture of empathy and inclusion, Microsoft — on Autism Awareness Day in 2015 — established its Autism Hiring Program. This year, parallel to its commitment to open sourcing its technologies and tools to create a "Microsoft platform" that companies integrate into their businesses, the company is "democratizing" its Autism Hiring program. The goal is to bring more people with autism to the workforce so that they and the companies they join can achieve more. Microsoft's Autism Hiring Program was designed to circumvent the social interaction challenges of the traditional interviewing process that are a barrier to many people living with autism. Rather than sitting with an interviewer for a set period of time, the Autism Hiring Program is a multi-faceted, multi-day process that allows the strengths of people with autism to shine. This hands-on academy focuses on team projects, skills assessments, and workability. Candidates meet hiring managers, various teams and they also learn about the company. Microsoft's CEO Satya Nadella, inspired by his personal experiences raising a son with severe Cerebral Palsy, has made empathy, inclusion, and inclusive design an integral part of Microsoft. His passion for making all technology accessible to all people transcends Microsoft, however. Thus, Microsoft's Autism Hiring Program has not only expanded beyond its headquarters origins in Redmond, WA to pilot programs at its campuses in Fargo, ND, and Vancouver, BC, but to other companies looking to adopt the inclusion practices. To facilitate the goals of the program beyond Microsoft, the company has become a member of the Autism @ Work Employer Roundtable. This is a group of 16 organizations with strong autism hiring programs that are working "to expand employment opportunities for individuals on the autism spectrum." The group also collaborated to create the Autism @ Work Playbook to help other employers begin or expand their inclusive hiring efforts. The Playbook addresses recruiting talent, facilitating the interview process, career development, training and more. Many Microsoft enthusiasts have criticized Nadella's cross-platform cloud strategy that places Microsoft and its technology as part of a wholistic cloud-computing platform rather than the exclusive platform approach that made it a success in the past. However, in a world that is "shrinking" and where computing platforms and technologies increasingly overlap, Microsoft is making bold, forward-looking moves. Its strategy to become the industry standard, and reference point for inclusion does the same. Beyond the altruistic rewards, this level of inclusion has a direct impact on meeting the needs of a diverse market, thus beneficially impacting Microsoft's bottom line. Furthermore, the goodwill, garnered by being viewed as an industry leader for inclusion pays intangible dividends that may affect the company in various beneficial ways. Finally, Mary Ellen Smith, Microsoft's corporate vice president of worldwide operations said, "My hope for the future is that we won't see this as a program, but instead a natural way of recruiting key talent in our organizations." We may not be there yet, but as Microsoft "democratizes" its autism hiring practices to other companies, it seems to be well on its way toward her goal. 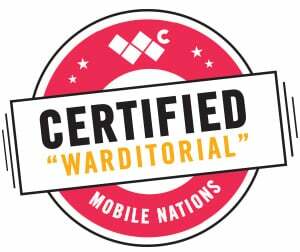 Hi, I'm Jason Ward, Windows Central's editorialist extraordinaire. I have strong opinions about lots of things, including all the gadgets and hardware I use every day to get work done. I use and approve all the following affordable accessories. You can never have too much storage, right? I use a Surface Pro, and unlike a certain Apple tablet I won't mention, it has expandable memory, making it and this SanDisk card perfect companions. My Anker 4-port USB 3.0 ultra slim data hub adds four additional ports to my PC, which helps accommodate my other USB-dependent accessories. This is a simple but indispensable gadget. I'm paranoid about losing data, so I triple backup everything. I use a 2TB Seagate portable drive. It fits neatly in a bag, and if necessary, can comfortably occupy a jacket pocket.